Starting in the May 1932 issue of Flying Aces and running almost 4 years, Eugene Frandzen’s “Lives of the Aces in Pictures” was a staple of the magazine. Each month Frandzen would feature a different Ace that rose to fame during the Great War. This time around we have American Ace—Captain John Mitchell! John Mitchell, a Harvard graduate, enlisted on March 1, 1917 and trained at Miami, Fla., Essington, Pa., and at M.I.T. He was commissioned 1st Lieut. June 27, 1917, and went overseas Sept. 1, 1917, continuing his training at Issoudun and Cazaux, France, and joined the 95th Squadron. At Toul he was credited with helping members of his squadron to bring down two Boches, and at Chateau-Thierry he did excellent work in patrolling and strafing infantry formations. He tangled with Richthofen’s circus—dividing the honors with Lieut. Heinrichs in bringing down one of the circus. On Aug. 1, 1918, Lieut. 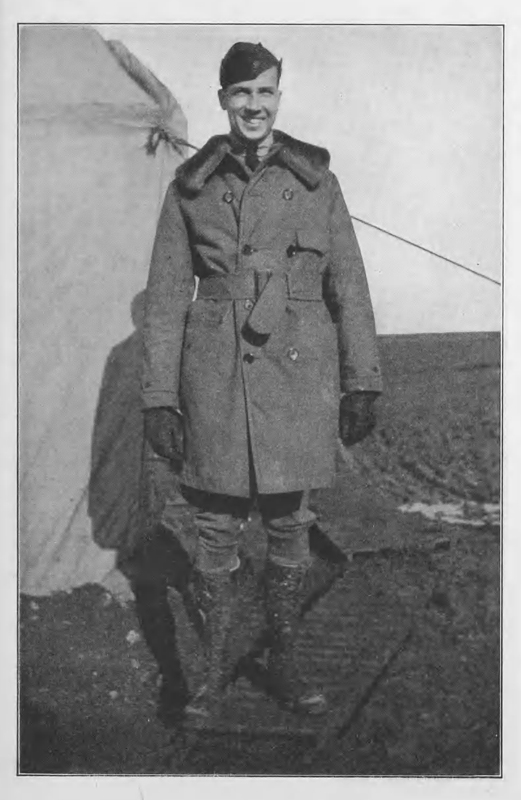 Mitchell was commissioned Captain, and on Oct. 13, 1918, he was placed in command of the 95th Squadron. The Squadron was demobilized Dec. 10. Mitchell arrived back in the U.S. Feb. 14, and was discharged Feb. 16, 1919. He received the French Croix de Guerre with Palm, and the American Distinguished Service Cross–both for engagement in the Toul sector in May 1918. 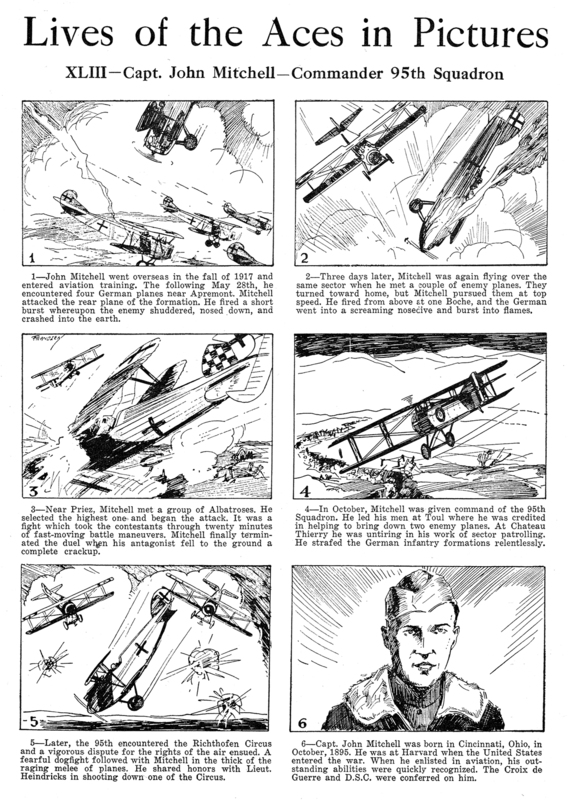 Mitchell is credited with the destruction of four enemy planes in combat according to official credits in the A.E.F. at the close of the war.